I'm planning a personal Star Wars Mod using the ships and stations from the original mod with a few changes. I only have experience with ship/station odfs and some weapon odfs so I'll probably end up attaching them via construction ship to an original faction. Certain ships will have two ranks instead of six. Some will have just one rank. Example. Victory I -class star destroyer can upgrade to Victory-II after certain xp. Same for Imperial Star Destroyer or Acclamator-class assault ship. The Correlian Corvette can upgrade to the Correlian gunship, Nebulon-B-class frigate can upgrade to Nebulon-2 but this will only be available for the Imperial faction. I will be using quantum/photon weapons as analogs to concussion missiles/proton torpedoes but the damage base will be much higher and probably single shots with long recharge rates. 1. I saw a preview video for a star wars mod for Fleet Ops and I'd like to have the laser cannon weapon textures/sprites/odfs whatever i need to use them. If you can send them to me I'd appreciate it. If not then I'll have to adapt stock pulse weapons for this purpose. Unless the sprites from the original mod will work in Fleet Ops. 3. Is there a way to use the fighter weapon as boarding craft in lue of transporters? Have a ship deploy a boarding craft as a fighter that docks with an enemy ship and deploys troops onboard. Could I maybe use the Klingon Commando Team weapon? 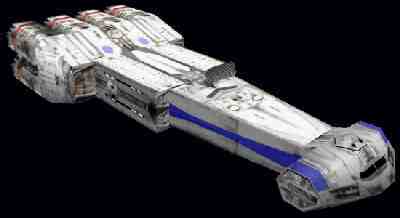 I would say that a Correlian Corvette should upgrade to the Modified Corvette rather than the gunship. Hi. Good idea to made your personal Star Wars Mod. With your mod, will be three Star Wars Mods for Fleet Ops: the one made by me, the other made by Adm Zaxxon and the third is yours. Where do you saw a preview video for a star wars mod for Fleet Ops ? Let me know please. Make the Force to Be with You ! Thanks. I went to your webpage but I couldn't download it. I think the link is bad or something. I think I saw the video in another Star Wars Forum thread. It might have been Adm. Zaxxon's. I also downloaded your Galactica mod, but my anti-virus went off and said it was a trojan. Hi. I don't know, it's something wrong with the link list, but you can be a member of my social website http://www.spacering.mixxt.com and you can download from there too my mods. Can not be a virus. I'm using NOD 32 with daily update. My mod will have a heavy reliance on the 'fighter hanger' weapon, I would like a more detailed explanation of the weapon odf but I really couldn't find anything in the guide. Specifically I need to know which commands/lines deal with deployment number and speed. Also, is it possible to have different numbers of different ships? Like a hanger with ARC-170 fighters and V-19 Torrent fighters, can I have it deploy a maximum of 24 ARC-170s and just 12 V-19s? Or do I need a separate weapon for it? I'm looking for as close to an authentic star wars battle as I can get which means a lot of fighters. But I'm also hoping to minimize the weapon odfs for the hangers. If not then thats ok. I've done some more planning on my mod. I know I'm gonna use five basic cannon weapons and two torpedo/missile weapons. I noticed miklosgo used the missile weapon from the Klingon defense platform. I figured it was a good idea for my own mod. Each weapon will have a flat accuracy against fighters and capital ships. Also, does anyone have any build buttons or background images I can use? Concurrentchild is the maximum number of ships that can be built for a specific weapon. But if I have multiple fighters in the same class will the weapon just cycle through the different ships until the maximum is met, or is there a command for specific ship maximums. Here is my modded Avalon FR ODF it includes two additional fighters. Delay is from owner spawn: the time from the creation of the owner of the weapon, till the first activation of the weapon. Your example would spawn 4 fighters, of mixed origin - an individual weapon for each fighter type needs to be used for individual "caps" . tooltip = "Medium Transport - lightly armed"
verbosetooltip = "Constructs basic facilities for the New Republic"
possibleCraftNames = "Skillik" "Intrepid" "Wind" "Arrow" "Venture" "Miracle" "Simiyiar" "Starcat" "Stalwart" "Nesst" "Adren" "Kazellis" "Jolian" "Gizer" "Epoch" "Dwarf" "Empress" "Brayl" "Barloz" "Anxarta" "Tsukkian" "Anterab" "Atrivis Day" "Aluma" "Axet" "Bultz" "Confal" "Contel" "Dayta" "Dandi" "Kalif"
enginesTargetHardpoints = "hp10" "hp11" "hp12" "hp13"
lifeSupportTargetHardpoints = "hp10" "hp12" "hp16" "hp17" "hp18"
weaponsTargetHardpoints = "hp10" "hp12" "hp16" "hp17" "hp18"
shieldGeneratorTargetHardpoints = "hp10" "hp12" "hp16" "hp17" "hp18"
sensorsTargetHardpoints = "hp10" "hp12" "hp16" "hp17" "hp18"
hullTargetHardpoints = "hp01" "hp02" "hp06" "hp07" "hp08"
criticalTargetHardpoints = "hp01" "hp02" "hp06" "hp17" "hp18"
workerBeeHardpoints = "bot1" "bot2" "bot3" "bot4" "bot5" "bot6"
Some of the values are based on the original ODF and some on the Federation mediterranean. What I'm wondering about is the animations of the worker bees deploying from the ship and coming back. In FO I can't find a generic 'const.odf' type file with those instructions in there. I'm wondering if this will work the way I have it. Is there anything I'm missing? SWFC will work without any changes as far as I recall if its parent is the A2 Classic Mod - I made a copy of it some months back . That's correct, there are no included files in Fleet Operations. Well what I'm doing is a Star Wars mod that is purely FO, it's just most of the ships I'm using happen to be from SWFC. I know that SODs and textures from Stock A2 will work in FO, I'm just not sure about how to change over a construction ship. This mod will be purly FO based, and if I release it, (I don't know if I will though) will probably be a ST Vs Star Wars style mod. Ok I've started adapting stock pulse cannons for my mod. I copied a few different pulse weapons (outpost, peregrine, defiant, phalanx-class weapons) The only thing I changed was removing the firearc and adding hitchances against fighters, range, shotdelay and damagebase. I assume that if a ship does not have a specified hitchance then it is automatically 100% accuracy correct? So far the only ones that are working are the fighter-level pulse weapons. I can't get my point-defense (not the special weapon just a regular weapon with low damage and rapid shotdelay), light, medium, heavy and ultra-heavy versions to work. wpnname = "Pulse Phaser Cannon"
tooltip = "Pulse Phaser Cannon"
is it the fact that I took out all the damage and accuracy variations and put in just ones for the fighters or is it something else? Ok I've copied and pasted an image of the medium transport used as a construction ship, now how do i merge that image with the button templates and get rid of the white background?